Diesel particulate filters are necessary to reduce the amount of harmful particles released from diesel vehicles. Although particulate filters are very effective in dramatically reducing the amount of particulates emitted from diesel vehicles,most filters need to burn the trapped particulates off fairly regularly, known as regeneration. This usually requires the vehicle to be driven at over 50mph for a short period of time. This fact sheet will help you decide whether vehicles using particulate filters are suitable for your drivers. Diesel particulate filters are used to reduce the exhaust emissions as required by European legislation, especially particulate matter. A particulate filter traps most of the soot that is produced during diesel combustion and would normally travel down the exhaust and into the atmosphere. These particulates can cause respiratory problems if people are exposed to high concentrations overtime. A filter can hold a certain amount of soot, but not a huge quantity, so it needs to regularly go through a process of regeneration in order to clear out the soot and allow the vehicle to operate properly. Regeneration occurs when the filter reaches a sufficiently high temperature, allowing the soot to be converted to a much smaller amount of ash. On most systems, to allow the filter to automatically regenerate, the engine should be used regularly at a sufficient speed, to ensure a high enough temperature of the exhaust gas is reached. Although it may vary from manufacturer to manufacturer, typically a vehicle must be driven at 50mph or above for at least 20 minutes in order to automatically regenerate the filter. During the regeneration phase, high temperatures in the filter may cause a slight smell, especially during the first regeneration. WHAT HAPPENS IF IT DOESN’T REGENERATE? If the vehicle is not driven in a way that automatically regenerates the particulate filter, it will build up an excessive amount of soot, which, if not resolved, will reduce the performance of the vehicle and damage the filter. If the filter does build up too much soot, a vehicle warning light will appear to alert the driver. The problem can usually be resolved by allowing the filter to automatically regenerate until the warning light goes out – i.e. by driving the vehicle at 50mph or above for at least 20 minutes. The vehicle handbook will have specific guidance for the vehicle. If traffic conditions and speed limits do not allow the vehicle to be driven so that the filter regenerates, it will have to be returned to a dealer for a forced regeneration to clear the filter. If the warning light is ignored and the vehicle is driven without regenerating the filter, it will cause damage to the vehicle, which will not be covered by warranty or our maintenance agreement. We are aware of businesses in the UK who have incurred costs in the region of £1,000 to £1,500 after a driver has failed to follow the correct regeneration process. The majority of vehicle manufacturers now have diesel particulate filters that require the regeneration cycle to be driven, but not all.Some have systems that can heat up the particulate filter and regenerate it without the need for a higher speed drive cycle. Some inject fuel straight into the filter which burns and therefore increases the temperature in the filter, and others have heaters built into the filter. For specific details of individual models, please refer to manufacturers’ websites. If drivers are restricted in their ability to regenerate a diesel particulate filter through driving at higher speeds, there are other vehicles that can be chosen which do not use this technology.Diesel models with the built‐in heating systems are an option, or alternatively, a petrol, petrol hybrid, electric or alternatively fuelled vehicle may be more suitable, especially in urban only driving conditions. WHICH DRIVERS SHOULD ORDER THESE VEHICLES? 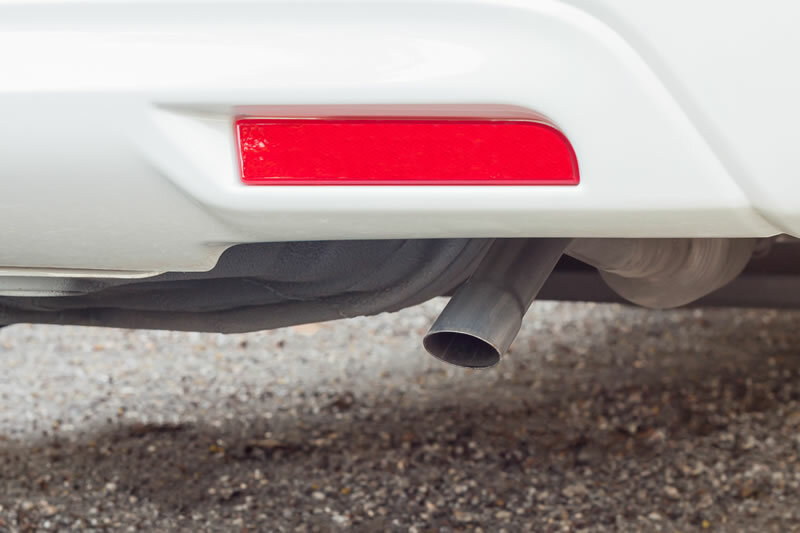 Diesel particulate filters significantly reduce harmful emissions and are vital for diesel vehicles meeting European tailpipe emissions, but care is needed when using this technology in predominantly urban driving conditions. Therefore check the type of particulate filter on any diesel car with an urban drive‐cycle and make sure it’s suitable, otherwise consider a different fuel type or vehicle technology.